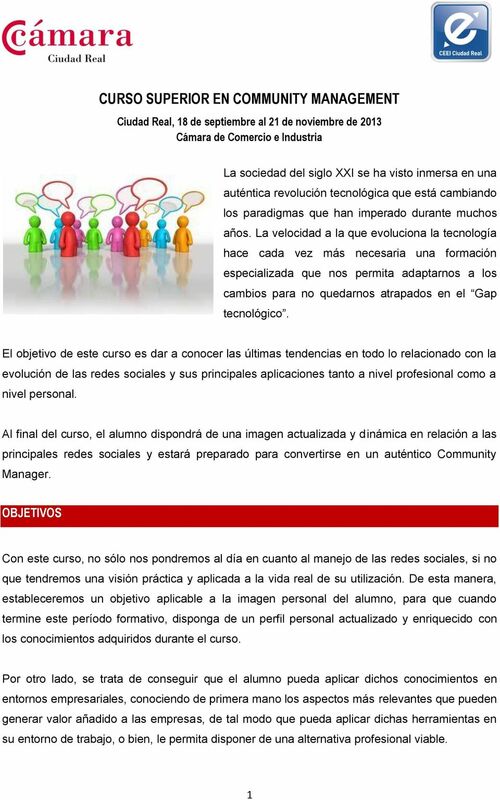 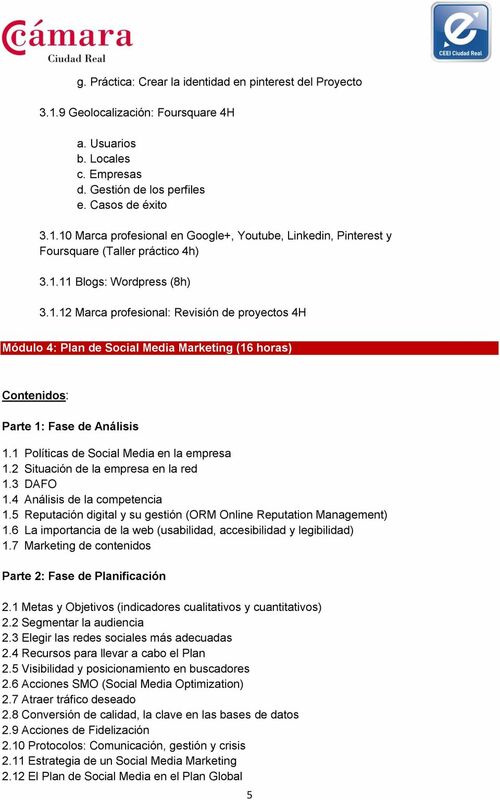 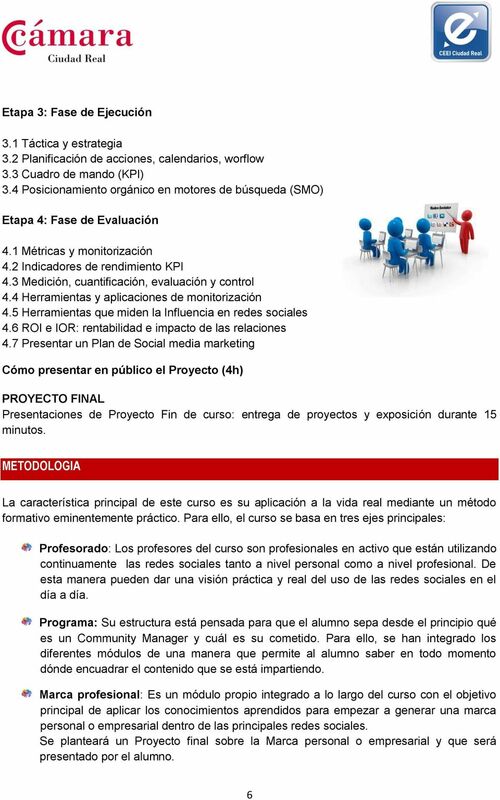 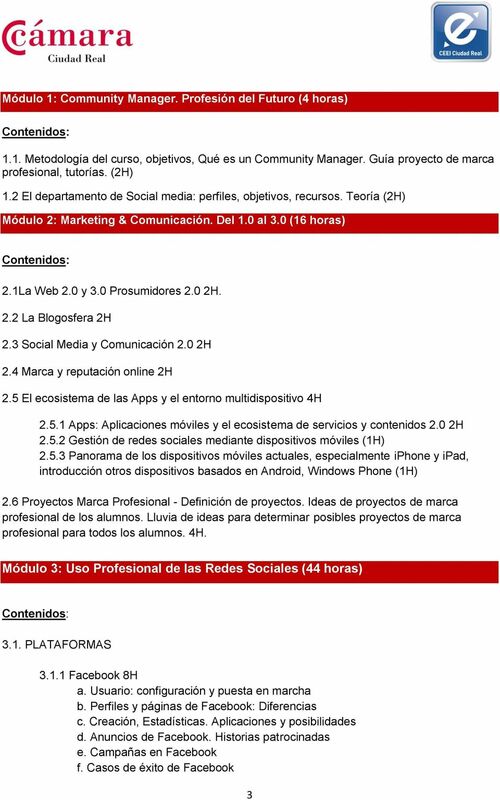 Download "CURSO SUPERIOR EN COMMUNITY MANAGEMENT"
ÍNDICE 1. 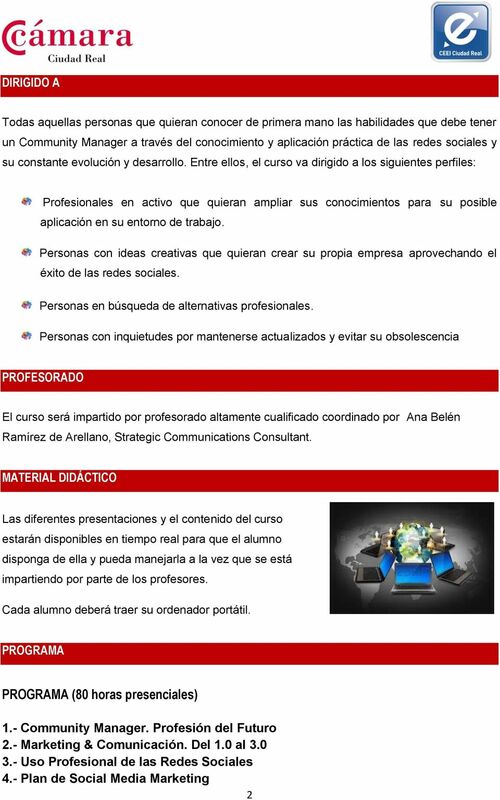 OBJETIVO DEL PROGRAMA 2. 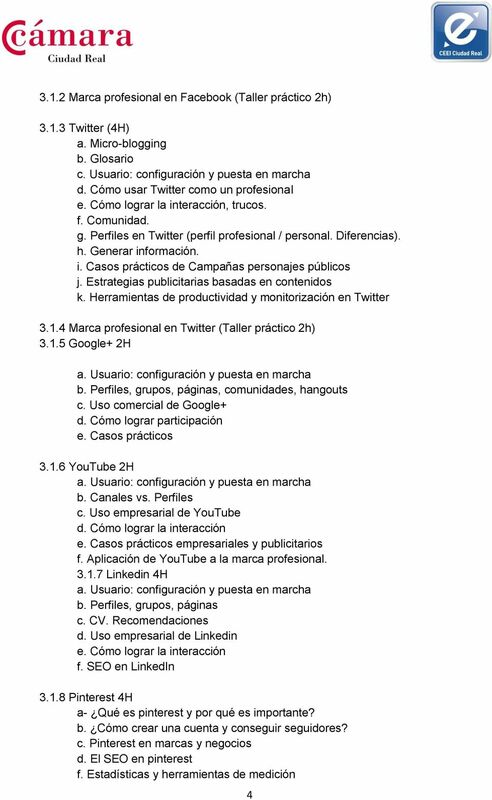 CARACTERÍSTICAS GENERALES DEL PROGRAMA 2.1 DESTINATARIOS 2.2 NÚMERO DE PARTICIPANTES 2.